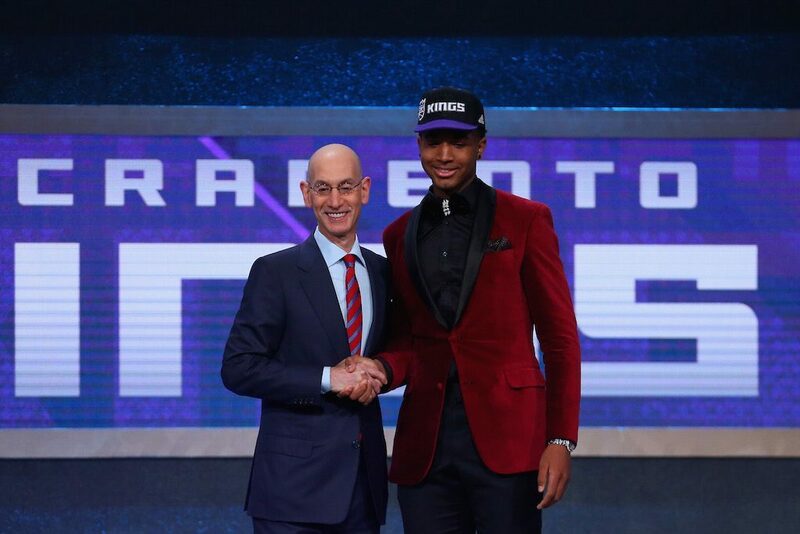 While the first two picks of the 2016 NBA Draft played out as expected, the rest of the night quickly deteriorated into unpredictability, mass confusion, and utter chaos. Despite all the research we put into the event, to say the board did not play out as we expected would be a gross understatement. We’d have had better luck using a Magic 8 Ball. Still, we had fun. Unfortunately, we have a feeling that some teams aren’t going to end up feeling the same way. In every NBA draft, there are winners and losers. Usually, we determine which teams fall into each category based on the picks they make. However, that’s not always the case. Sometimes, it’s other decisions that leave us scratching our heads. Just so we’re clear, the 2016 draft featured a number of these particular moments. For the record, some of these head-scratching choices may end up working out in the future. That’s the beauty of sports — you never know how things are going to turn out. But we’re not concerned with the future, we’re concerned with the present. And presently, some draft-night decisions still make absolutely no sense to us — these three in particular. We like what the Boston Celtics did with their three first-round picks, selecting Cal’s Jaylen Brown at No. 3, power forward Guerschon Yabusele at No. 16, and center Ante Zizic at No. 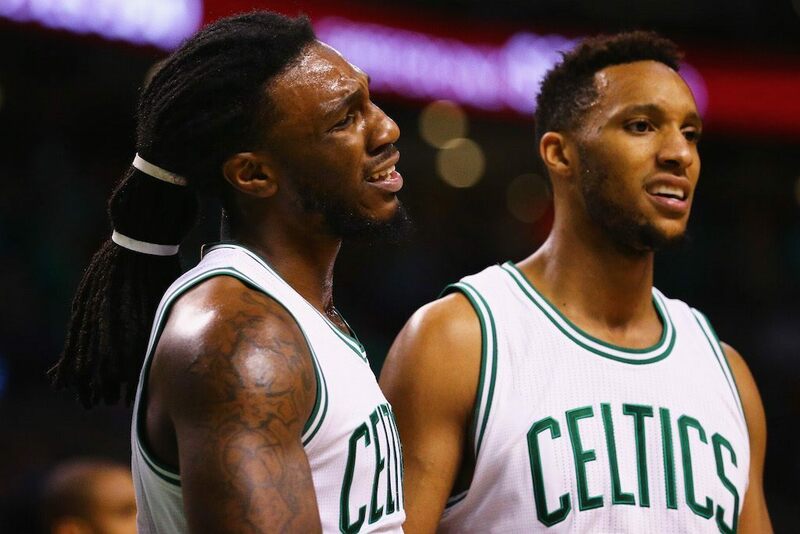 23, however, when you consider what the C’s hoped to accomplish in the 2016 draft, we think they came up short. After finishing the 2015–16 season with a 48-34 mark, this was an opportunity for the Celtics to parlay their draft assets into an established star. Much to the dismay of the Boston faithful, this did not happen. While we understand that the Celtics didn’t want to trade their No. 3 pick for Philly’s Jahlil Okafor — despite our belief that this scenario was a win-win for all involved — we think they made a mistake by keeping their pick. The Celtics need a bona fide stud, not a player who could become one down the road. Clearly they missed the memo. On the surface, making a draft-night trade for Oklahoma City’s Serge Ibaka seems like a solid play by the Orlando Magic. Then, upon further review, you realize what they gave up to make this deal happen, and you can’t help but shake your head in disappointment. What were they thinking? 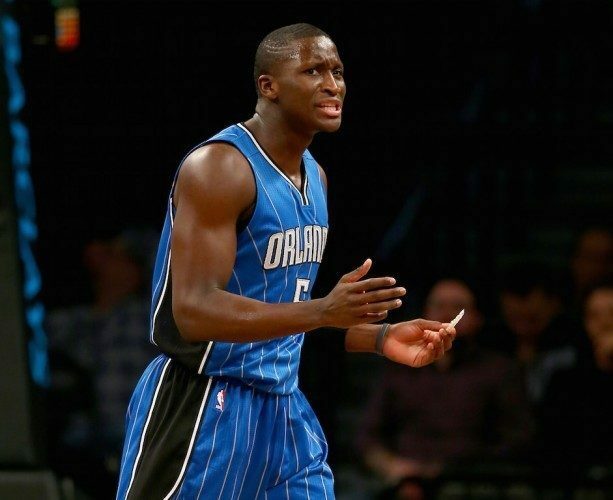 Ibaka is a good player, we’re not here to refute that, but in what would world is he worth Victor Oladipo, Ersan Ilyasova and the rights to Gonzaga power forward Domantas Sabonis, who was selected with the No. 11 overall pick? The answer: None. On the flip side, shout out to the Thunder for making this deal happen. You did good — and we’re not the only ones who think so. When Washington’s Marquese Chriss fell to the Kings at No. 8, we couldn’t believe Sacramento’s good fortune. But then we remembered that they were the Sacramento Kings, and it was only a matter of time before they screwed the whole thing up. Instead of keeping the explosive power forward with incredible upside, the Kings traded him to the Phoenix Suns for the rights to draft Georgios Papagiannis at No. 13 and Kentucky’s Skal Labissiere at No. 28. In case you’re wondering why the Kings can’t seem to escape their place in the NBA cellar, it’s because of decisions like this. For the rest of us, the ones who have no skin in the game, at least we got a priceless tweet from DeMarcus Cousins out of this debacle. Information courtesy of Basketball-Reference.com, NBA.com and ESPN.com.